I had my first son and I got really bored during his naptimes. I started following several money saving moms blogs, as a stay at home mom we were a one income family so I knew I had to find ways to save. I also knew it was possible to make money online having sold on Ebay for over two decades. I always love to write. I was never one of those kids that was super talented in sports or even into schpp; that much truth be told.. But I did love to write and study business. I found myself on the yearbook and newspaper staff in high school, (computer nerd alert), I didn't look like your typical computer nerd then, or now really, but I am one at heart. 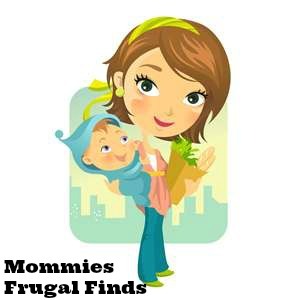 I started mommiesfrugalfinds.blogspot.com 7 years ago as a money saving and couponing blog. I was learning so much about saving money as well as getting a ton of free and super cheap items just using coupons and matching with sales and I was hooked. I became a writer and blogger from my love of shopping. Let's be real how many of us can say they do what they love for a job? I hope to change that one momma at a time! Fast forward, since starting a blog Idiscovered a love of helping other moms find that elusive balance that most of us only dream of. You know, having enough time and enough money. I help moms make a living as well as a life online. I teach moms how to create multiple streams of income, passive income and teach you all that I've learned along the way. Through my experience and my epic failures I want to teach others what I've learned. I made so many mistakes along the way. Things have changed and evolved so much in the blogosphere, with technology and even the workforce asmore and more employers are realizing how cost effective it can be to have work at home employees or VA's. I give you up to date info to be able to make money (and save money) to live better and spend more time with your kids! Make money, save money, live better.